We will have your car looking like the original color finish. All colors are mixed on location and our paint booth allows for the perfect application. We are able to push your dents out of your vehicles exterior! This is all about keeping up with the latest in technological advancements in our industry to keep you and your passengers safe. We value our I-CAR Gold Class rating! Our specialty: we obtain the material, which will have your car solid and safe when you pull out of Mike Bach Auto Body. 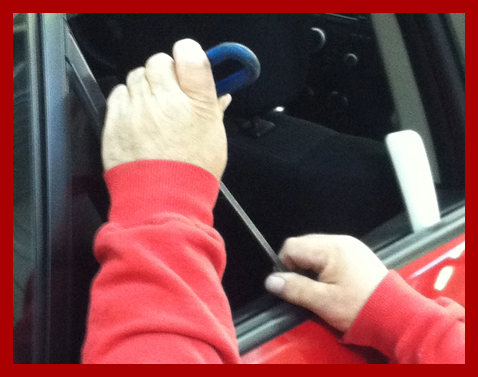 We are able to facilitate replacement of any glass at the same time we put your auto back together. Alloy wheel repair can be an efficient alternative to replacing expensive wheels. Our well-trained technicians specialize in letting you know if this is a viable option for your automobile. This process improves visibility and enhances your vehicle’s appearance. Taking cloudy, hazy or yellowish head lights and giving them a brighter future. Towing Assistance and Rental Car Assistance: We can coordinate for you!